The governor’s race is heating up, but it’s not the only one in the March 20 primary that’s making headlines. Incumbent Cook County Assessor Joe Berrios, who is facing accusations that he runs a regressive property tax system, is fighting to keep his job. The race likely narrowed Tuesday into a one-on-one, with Fritz Kaegi, a largely self-financed asset manager from Oak Park, taking on Berrios for the job. Tax appeal attorney Andrea Raila had been in the race, but was kicked off the ballot late Monday by a Cook County election officer. This is the age-old game in state politics that keeps election attorneys in business: a campaign alleges that an opposing campaign has a problem with their petitions to get on the ballot – everything from fraudulent signatures to not having the right kind of binding. In this case, the official ruled that there was a “pattern of fraud” in some of the signatures and the process to notarize some of the petitions. But Raila on Tuesday held a rally saying her campaign may challenge this ruling in court, and that her opponent Kaegi is engaged in political harassment to try and prevent a women from running. Kaegi mentions that Raila in the past has donated to the Cook County Democratic Party, led by Berrios, and to Berrios’ daughter, who had been a state representative in the past, insinuating that perhaps Berrios is somehow connected to Raila. He said the election rules are in place for a reason. In the middle of the controversy is Berrios, who faces tons of scrutiny for a recent investigation by the Chicago Tribune and ProPublica that detected a pattern of regressive property tax assessments, where poorer homeowners were paying higher property taxes and wealthier residents paying lower taxes. A one-on-one challenge may make it more difficult for him to be re-elected. Having Raila on the ballot might have split the anti-Berrios vote. Berrios on Tuesday also picked up the endorsement of the Chicago Federation of Labor. 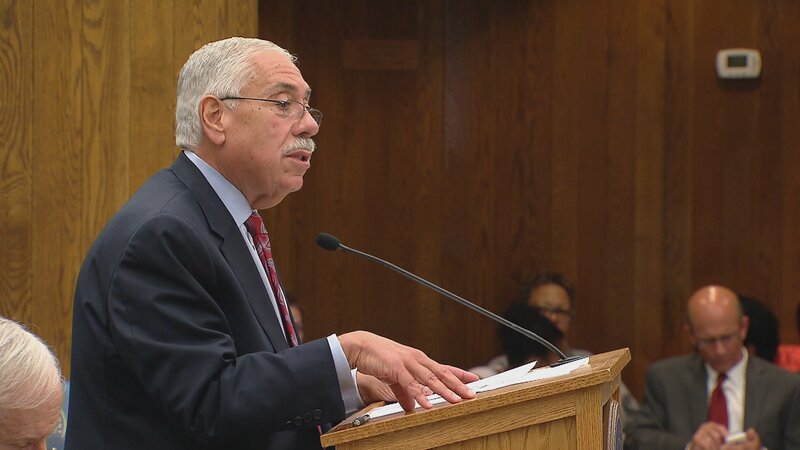 Feb. 1: Is an independent review of the Cook County assessment process just a political cover for embattled Assessor Joe Berrios? Dec. 19: A government watchdog group is calling for oversight of Cook County Assessor Joe Berrios and the way his office assesses property values. Dec. 11: Republican Gov. Bruce Rauner on Monday demanded with heated rhetoric that Cook County Assessor Joe Berrios step down—a call that Berrios, a Democrat, not only refused to heed, but fired back at Rauner.